Some domestic maids are live-in, while others come in every day for an hour or two once or twice a week. 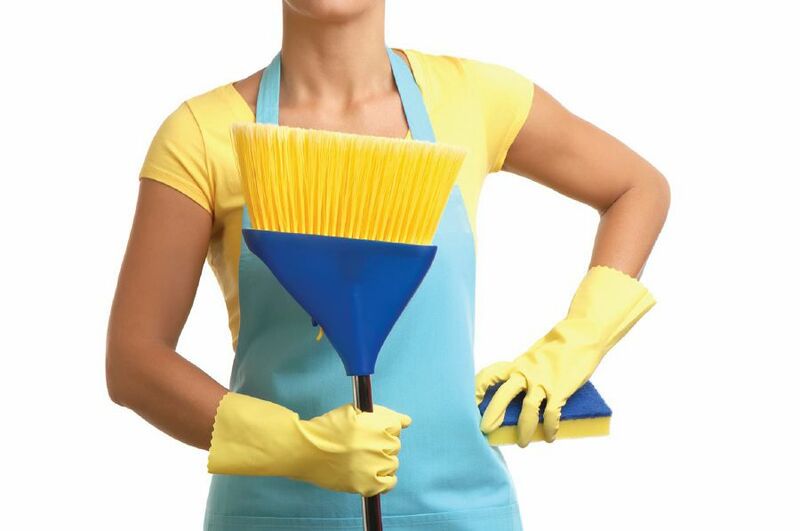 Most do household chores like sweeping, mopping, dusting, washing and scrubbing. Some are live-in, others come in every day. Others work for us on hourly schedules or twice a week. No matter the arrangement, maids are the envy of all our friends and relatives back home. As are private gardeners, pool men, drivers and security guards. My family and friends back in Europe think they know all there is to know about my life as an expatriate, trailing spouse. But, most of them really know my Facebook life. They see posts about parties, balls, barbeque gatherings by the beach, weekends away and holidays at gorgeous five star destinations. Like you, I don’t post the hangover, the bad hair day, the hours wasted in a traffic jam, the mishap a child (or pet) had on the living room rug or the occasional all around bad day on social media. They do know, however, that I rely on the services of a maid. Actually, I prefer calling her my nanny or, now that my children are grown up, my housekeeper, it sounds a little more dignified, wouldn’t you agree? However, since this seems to be the one fact about my expatriate life upon which all my relations agree, most of them just assume that I must have an entire assemblage of staff at my daily disposal. “Surely she retains the assistance of a gardener, a driver, a guard (bodyguard or otherwise),” they rationalise. Why not throw in a secretary and a PA while they are at it? They do wonder what on earth I’m doing all day long. By the time we meet up during my annual home leave, they look at my tanned face and deduct that I must be lying by the pool all day. Domestic helpers must be the ultimate luxury. So, why is it that, during any gathering over coffee, our topic of conversation inevitably shifts towards our hired help? I remember a friend from the United Kingdom, who never told her family back home that she had a maid. She couldn’t deal with the reproachful and envious comments she expected. She even made sure to send her helper on a holiday every time she had visitors staying at her house. Many of my expatriate friends get into a tidying frenzy each time their cleaner is scheduled to come in for work. I’ll admit to having had such urges myself at times. What could possibly be the rationale behind such perplexing behaviour? The truth is, we feel a little guilty. As stay at home moms, surely we should be able to clean our own homes, cook our own dinners, do our own laundry and keep the pile of ironing at a reasonable level all by ourselves. During our aforementioned gatherings over a steaming cup of latte, we often debate whether or not paid home support engenders laziness in our children, whether or not we are sending the wrong signals and set our progeny up for failure later in life. Admittedly, we also discuss how much we pay, which of the many Malaysian public holidays we expect our housekeepers to work on, whose is a chatterbox and which one is the better cook; or baker or child minder. We also point out that many can’t reach the top shelf and therefore omit dusting anywhere above eye level. But, jokes aside; and guilt aside. If it weren’t for these good souls sweeping, mopping, dusting, washing, scrubbing and chopping vegetables, we wouldn’t have time to sit with a coffee and complain about them. We might do our children a disservice by not preparing them for the harsh realities of autonomous adult life, but we have time to sit with them and look over their homework and weekly assessments. We maintain an informed relationship with our children’s teachers as we bake at school, read at school and chaperone on school trips, while we know that someone will answer the doorbell as water bottles, gas canisters and registered parcels are delivered to the house. We can agree to a spontaneous, romantic dinner with our husbands as our children are fed, bathed and safely put to bed on time. And, we can pack up and enjoy a family getaway weekend knowing that our pets are looked after lovingly. I’ll admit that, over the years I have fully overcome my initial sense of guilt. I have a housekeeper and indulge in the luxury it provides me. I don’t clean up before Jenny arrives in the morning. Instead, I pride myself on being a fair and worthy employer. I pay decent wages, I listen to her grievances, I accommodate suggestions and I acknowledge recommendations. I interact with her as a family member, on eye level (you know, where the dust lays). Caption: Some domestic maids are live-in, while others come in everyday for an hour or two once or twice a week. Most do household chores like sweeping, mopping, dusting, washing and scrubbing. Quote: Many of my expatriate friends get into a tidying frenzy each time their cleaner is scheduled to come in for work. I’ll admit to having had such urges myself at times. What could possibly be the rationale behind such perplexing behaviour?